As the daughter of two career teachers, Teresa Romano has an appreciation for good pedagogy and understands the importance of providing a quality educational experience for others. In fact, Romano’s parents inspired her to become a teacher herself—albeit in a less traditional sense. Romano traded “a classroom” for Froedtert Hospital, where she works as a PGY1 ambulatory-focus pharmacy resident, regularly teaching patients about their medications and their disease states. Started in 2011, Concordia’s Clinical Teaching and Future Faculty Certificate Program offers flexible opportunities for residents to enhance their teaching skills and prepare for careers in clinical education and academia. The program offers flexible options; some residents have completed their required hours in as little as four weeks, while others spread it out over the course of a semester. Each resident is also assigned a CUW faculty member preceptor, allowing for individualized learning and growth. The program is on track to hit a milestone this upcoming academic year with its 200th graduate. Of those who have completed the program, 19 became a faculty member after residency and many more serve as preceptors and clinical educators. 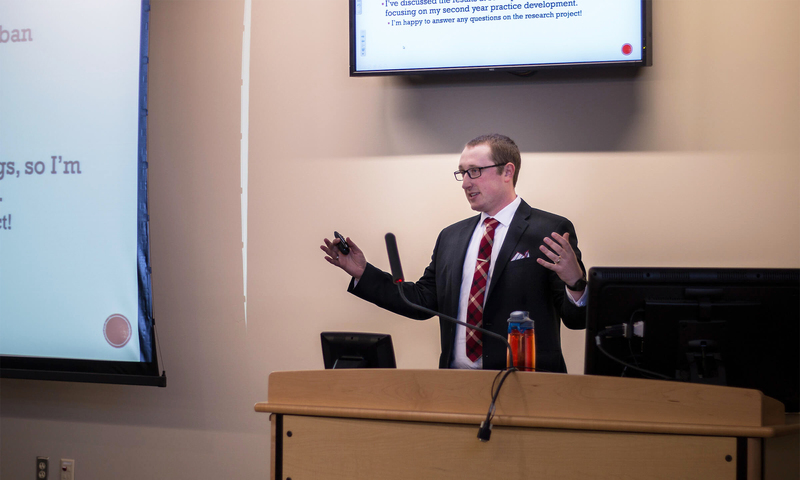 One of the beauties of the program is that it is customizable, says Andrew Traynor, PharmD, BCPS, who has been a part of the team of seven preceptors leading this program since its start eight years ago. PGY1 Clinical Teaching Certificate—for PGY1 residents who wish to be involved in the generalist teaching of students in practice, but do not imagine ever desiring to be a faculty member. PGY2 Clinical Teaching Certificate—for PGY2 residents who wish to be involved in their specialty area teaching students in practice, but do not imagine ever desiring to be a faculty member. PGY1 Future Faculty Certificate—for PGY1 residents who wish to be competitive for generalist faculty positions following residency. PGY2 Future Faculty Certificate—for PGY2 residents who wish to be competitive for specialist faculty positions following residency. Romano says the greatest strength of Concordia’s certificate program is its organization and structure—self-directed learning, small group discussion formats, lab facilitation, and lecture development. Sound like something you’d be interested in to benefit your career? You can learn more about Concordia’s Clinical Teaching and Future Faculty Certificate Program by contacting Emily Dineen, residency program coordinator, at emily.dineen@cuw.edu or 262-243-2767.